When a girl ignores your messages, it can feel like such a fall from grace. Yesterday, you were having a great time and she seemed super-down for a date. Now, you’re supposedly not worth responding to. This situation can seem as if you’re backed into a corner with only your fingers and a smartphone to fight your way out. After all, most messages you send when she’s ignoring you will make you appear desperate and needy. Nevertheless, it is possible to resuscitate the text conversation in a fun and carefree way. Here’s a step-by-step masterclass in getting a girl to respond after she’s stopped texting you. 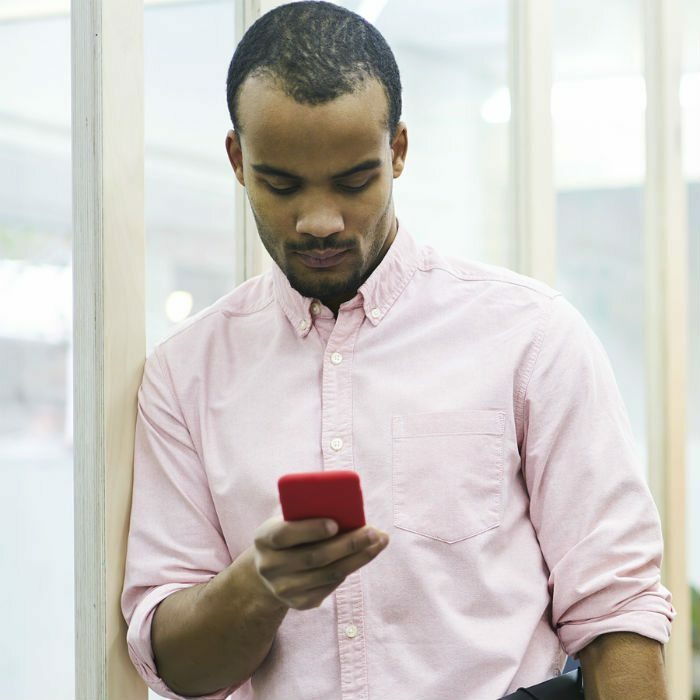 There’s a myriad of reasons why women don’t reply to text messages. Or maybe your last message sucked. See our ultimate guide to texting girls for examples of fun opening messages that’ll keep her attention. The point is you shouldn’t panic. Assume your message was forgotten about for one of these dumb reasons. This carefree attitude will come across in your next messages and she’ll be less likely to think you’re butthurt about being ignored. Women want to date guys who have active social lives. Her dream man would have too much going on to notice some girl ignoring his message. With this in mind, please wait at least 24 hours before following up on your first message. Doing so any sooner makes it seem like you have nothing better to do than text her. The only exception to this rule is if you have arranged to meet her that day. In this case, simply text, or even call, to confirm your meeting spot. Once it’s clear she’s not getting back to you, send a ‘ping text’. A ‘ping text’ could be a meme, a funny story from your day, a photo you took while out and about. Anything that communicates ‘I saw this and thought of you’. The golden rule of ping texting: no questions. This type of message doesn’t come across as desperate because it’s not asking for a response. It simply communicates that you’re a fun guy sending a fun message. If she’s interested in you, she’ll reply. Even if she doesn’t, it doesn’t look needy to send two or three of these over the next few days. Once one hooks her in, continue the conversation as normal. Click the link for some detailed examples of successful ping texting. If the ping texts fail to capture her attention, a ‘faux panic’ text could be your final shot. This is an over-the-top message worrying about her whereabouts. The faux panic text acknowledges that she’s ignoring you in a fun and playful way. If she actually wants to keep in touch, she’ll get back to you sharpish. If you’ve got this far down the list, it’s pretty likely you’ve been ghosted. If you like, send a final text telling her you won’t be messaging her anymore. This could potentially wake up the small percentage of women ignorant enough to miss your first few texts. At this point, you have nothing to lose. A great way not to worry about a girl texting you back is to have loads more messaging you. With the emergence of apps like Tinder, Bumble, Coffee Meets Bagel etc, you can find hundreds more women to speak to within a couple of taps of your smartphone. Open up your favourite app and find the women who actually want to meet up with you. If you want to stay in contact with a woman, be aware that swapping phone numbers is nowhere near as effective as exchanging social media details. Using Instagram, I’ve been able to revive dead conversations multiple times – and get girls out on a date months after meeting them. To learn how this works, read these 7 reasons to swap social media instead of phone numbers.